Fiona has worked in UK universities for 20 years-both as an academic and as a senior professional member of staff. In 2003, Fiona left full-time lecturing to take up a post in Educational and Staff Development at Queen Mary, University of London (QMUL). Whilst at QMUL, Fiona established a programme of training for researchers, worked with colleagues on the teaching qualification for new academic staff and helped develop and deliver a leadership programme for senior academic staff. In 2007, Fiona moved to King's College London's Graduate School, becoming Assistant Director in 2012. During her time at King's, Fiona developed training for researchers, senior staff and doctoral supervisors, provided strategic direction for the development of academics and researchers and hosted the London Hub for the national researcher development organisation, Vitae. At King's, Fiona built a team for researcher development and with colleagues, devised and ran the first King's Coaching Service for researchers and academics. Whilst at King's, Fiona worked on leadership programmes for researchers, wrote a booklet with collaborators Jeremy Mead and Paul Toombs for Vitae on developing leadership skills and lectured on the subject of developing leaders at both undergraduate and masters degree level. 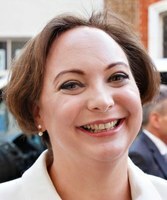 In April 2014, Fiona moved to Brunel University London where she is currently the Director of the new Brunel Educational Excellence Centre, aimed at enhancing support for both staff and students in order to improve the quality of teaching and learning at all levels throughout the University.